Floating atop the warm waters of the Mediterranean Sea, this originally volcanic island is a miniature continent of its own and possesses a fascinating sense of independence. Cuisine is a delicious melange of French & Italian dishes. Corsica remains the most unspoilt of the Mediterranean Islands, and also the most mountainous. 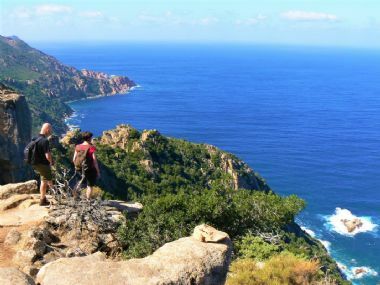 Its hills are covered in cool, green virgin forests and golden sands adorn its coastline, interspersed with dramatic cliffs – perfect for walking!